As ISPs we sometimes forget how hard it is for customers to know which provider serves their home – Especially if they are new to town. Unfortunately, today’s customers don’t want to call you. Customers want self-service, and they want their answers fast. Give them what they want with the Service Availability map app. Schedule your free brainstorming session now. In 20 minutes we’ll learn about your market and network. Then we’ll give you some ideas on what the Service Availability map could do for you. 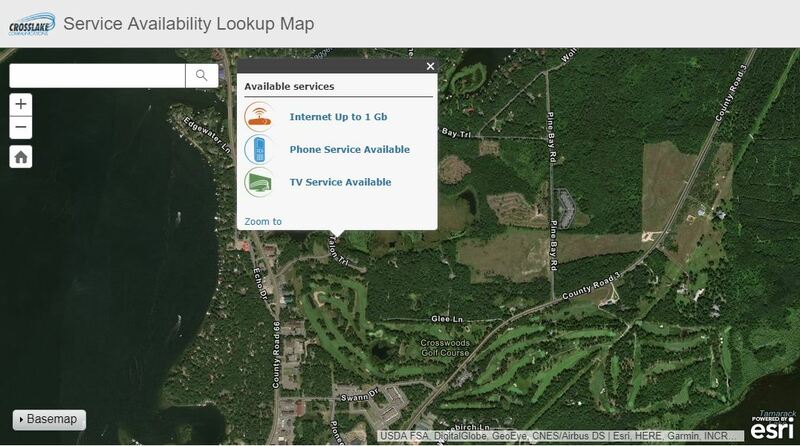 Crosslake Communications leverages the Service Availability map app to help their customer base which has a considerable amount of seasonal customers.